We’re seeing a lot of new dramas premiering in March! And there’s a little something for everyone — a lil’ legal, a lil’ rom-com, a lil’ family, a lil’ medical, and a lil’ sageuk. So to make all our lives a little easier, here is a handy round-up of most of the shows that are airing soon, if not already! 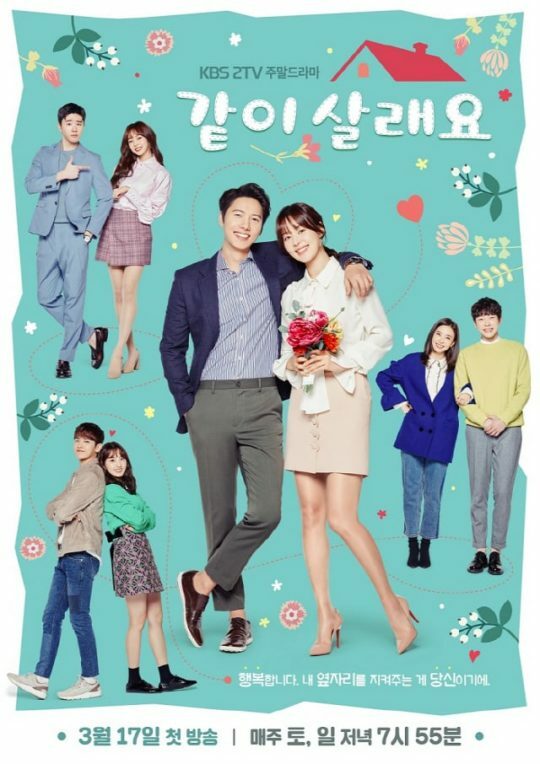 See Also: Jin Se Yeon Cuts Her Own Hair In An Act Of Defiance In "Grand Prince"
Plot: In order to to avoid the social stigma of being a single, working woman in her mid-30s, Han Seung Joo (UEE) decides to marry Oh Jak Doo (Kim Kang Woo), a man who grew up in the countryside. What will happen between an ambitious, career-driven woman and a down-to-earth naturalist? What to look forward to: I can already imagine all the awkward hi-jinks that is going to happen. And it’s a nice twist to see a gender reversal on the usual rich-man-naive-woman trope. Plot: “Grand Prince” is a historical drama filled with ambition, passion, and betrayal. Loosely based on a true story, two princes, Lee Whi (Yoon Shi Yoon) and Lee Kang (Joo Sang Wook), vie for the love of Ja Hyun (Jin Se Yun), who comes from a prestigious family. What to look forward to: The aesthetics! Everything looks gorgeous – the actors, the clothes, the scenery, even the promotional posters! And you can never go wrong with Kim Mi Kyung! Plot: Twin sisters Cha Sun Hee and Cha Do Hee (both played by Lee Da Hae) couldn’t be more different than night and day. An incident happens that leads to married-Sun Hee pretending to be single-Do Hee on her job as a flight attendant. There, she meets co-pilot Song Woo Jin (Ryu Soo Young). What to look forward to: The star-studded cast and production team! The director for this drama also helmed the hit drama “Temptation of Wife.” This will also be Lee Da Hae’s long-awaited comeback to Korean screens (her last K-drama was “Hotel King” in 2014). 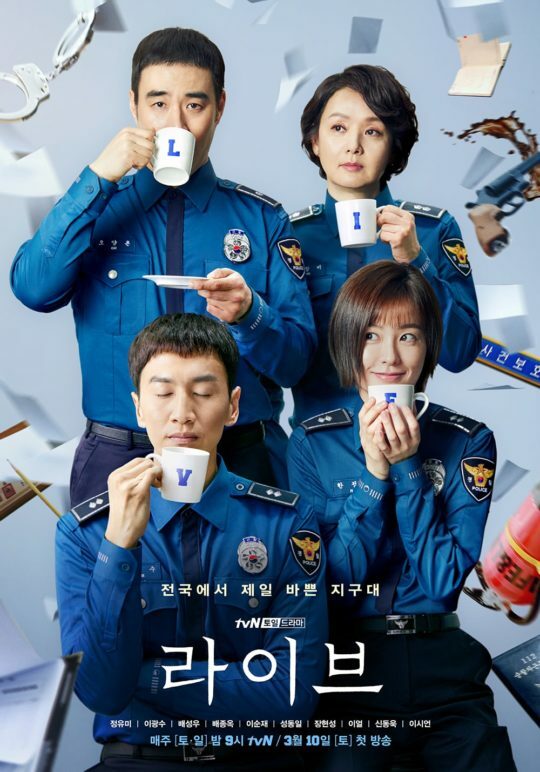 Plot: “Live” is about the police officers of “the fastest precinct” in Korea and their lives as they work around the clock to maintain justice. What to look forward to: We don’t too much about this drama yet, even though it’s coming up pretty soon, but from the music and emotion in the trailer (below) and the stellar cast, we’re sure this drama’s ready to bring all the feels! Plot: Loosely based on French novel “Dangerous Liaisons,” the drama follows Kwon Si Hyun (Woo Do Hwan), a ladies’ man who can seduce any girl, until he meets his match in Eun Tae Hee (Red Velvet’s Joy), who has no interest in love. Will these characters be able to navigate this messy and dangerous game of love and seduction, and come out unscathed? What to look forward to: Have you seen the poster?! That sizzling chemistry! “Dangerous Liaisons” was very seductive and even scandalous, so it will be interesting to see how these relatively young actors tackle this storyline. Plot: This is the quality, fun, family, weekend drama that KBS is known for. It centers around a multi-generational family, with the parents going through a mid-life crisis and the children learning to come out from under their parents’ protective upbringing while facing the realities of life. What to look forward to: Just look at that cast! Unless something of epic proportions goes wrong here, this drama is already destined to be good. Plot: A married couple who have spent half their lives together are suddenly confronted with death. Together, they re-evaluate their relationship, look back on their journey together, and rediscover their love for each other. What to look forward to: I’m a sucker for these “fall-back-in-love” type storylines, and I love the leads too! Need to get those tissues ready! Plot: The drama tells the story of three middle-aged brothers (Lee Sun Gyun, Park Ho San, Song Sae Byuk) and a cold, tough woman (IU) as they come together and heal the scars of the past. 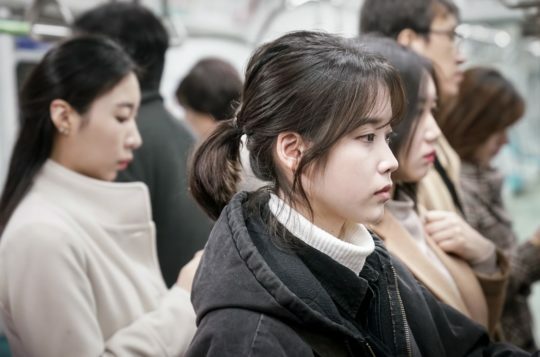 What to look forward to: IU’s returning to dramas with what looks to be a heavier role than her past dramas, and we’re excited to see how she’s grown as an actress! Plot: When Lee Gwang Jae’s (Kim Ji Hoon) father dies, he also leaves behind a lot of debt. Struggling to pay it off while also keeping his father’s honor intact, he finds a constant cheerleader in the bright and optimistic Kim Young Ha (Kim Joo Hyun). What to look forward to: Kim Ji Hoon is well-known as a rom-com lead, so it’ll be interesting to see what chemistry will be cooked up between him and Kim Joo Hyun! 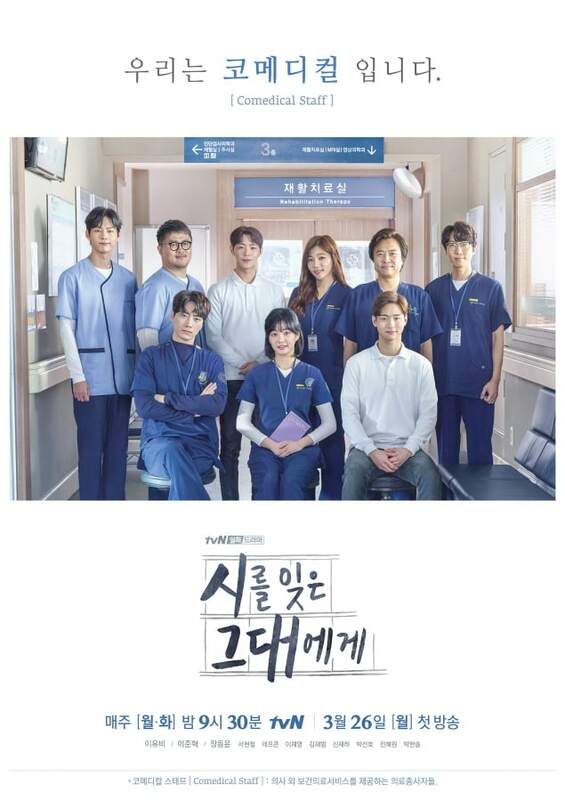 Plot: “You Who Forgot Poetry” is a slice-of-life/medical-drama that follows the lives of a medical team, including physical therapists and radiology technicians. One of the character’s first love is poetry, so each episode will feature a poem that relates to the hardships they are facing and helps them through it. What to look forward to: The concept itself sounds fascinating, and it’s written by the same team as “Drinking Solo,” so we know the drama is in good hands. Plus, Defconn continuously teased this drama! Can’t wait to see how he does! Plot: Jang Geun Suk takes on two roles in this drama, one as Sa Do Chan, a swindler who failed to become a prosecutor; and Baek Joon Soo, a prosecutor who is a stickler for rules. Han Ye Ri plays Oh Ha Ra, a positive and sharp-witted character who has the skills to overcome issues that come with being born in a low-income family. What to look forward to: The production staff has been quoted in saying that the cast has shown explosive chemistry. And when was the last time we saw Jang Guen Suk with such short hair? !